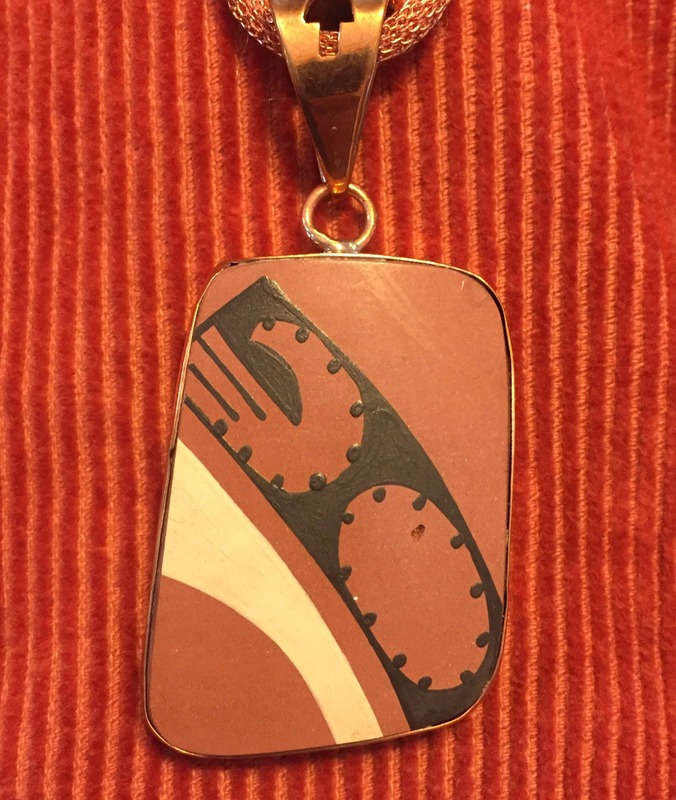 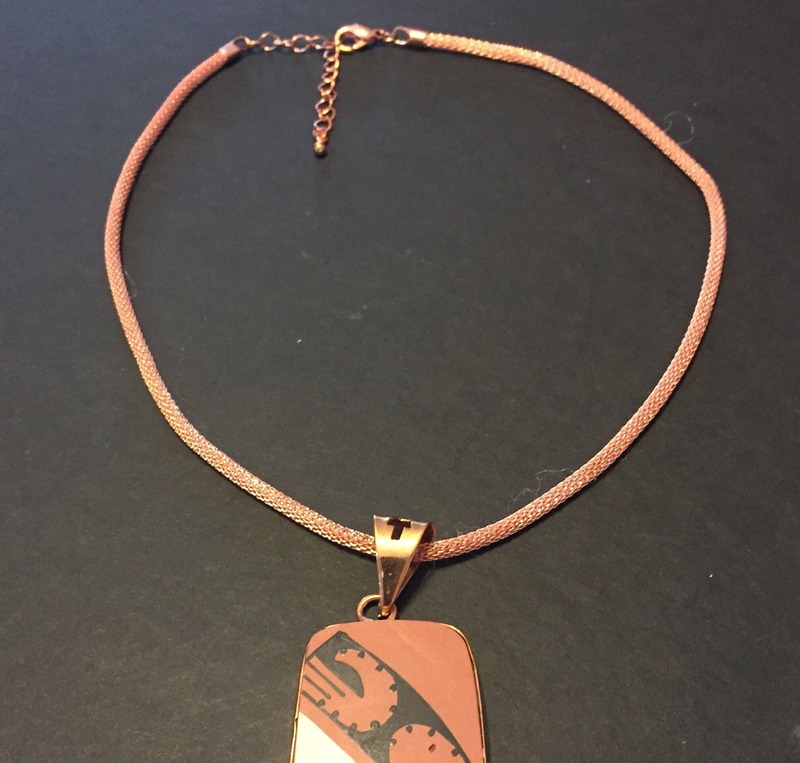 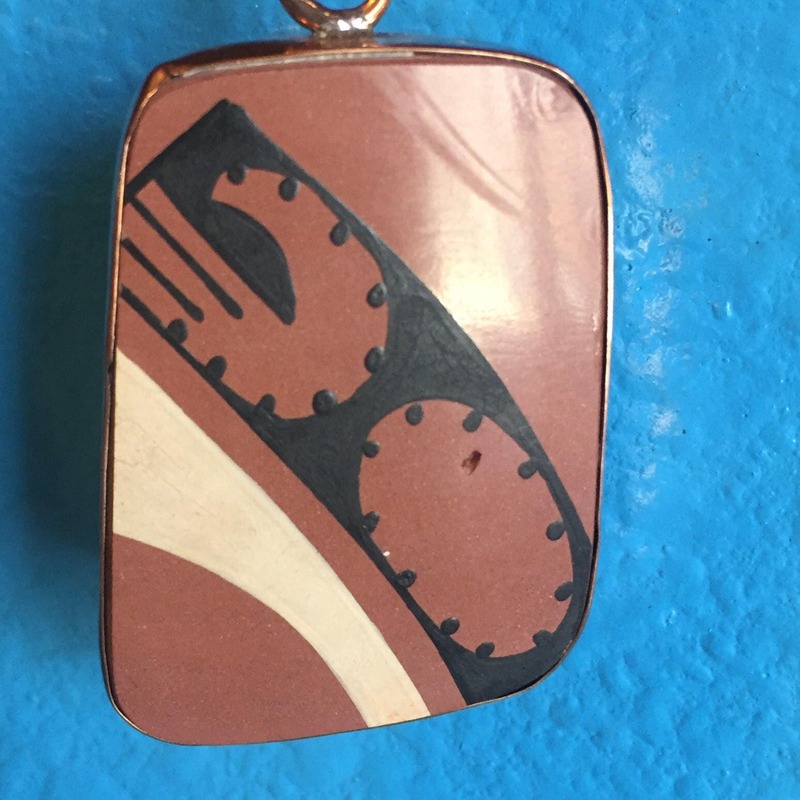 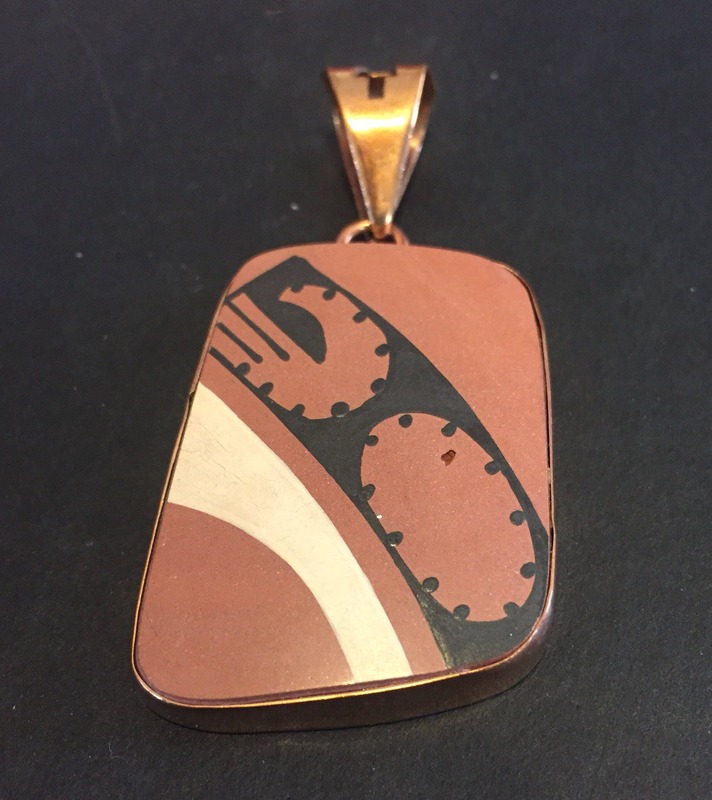 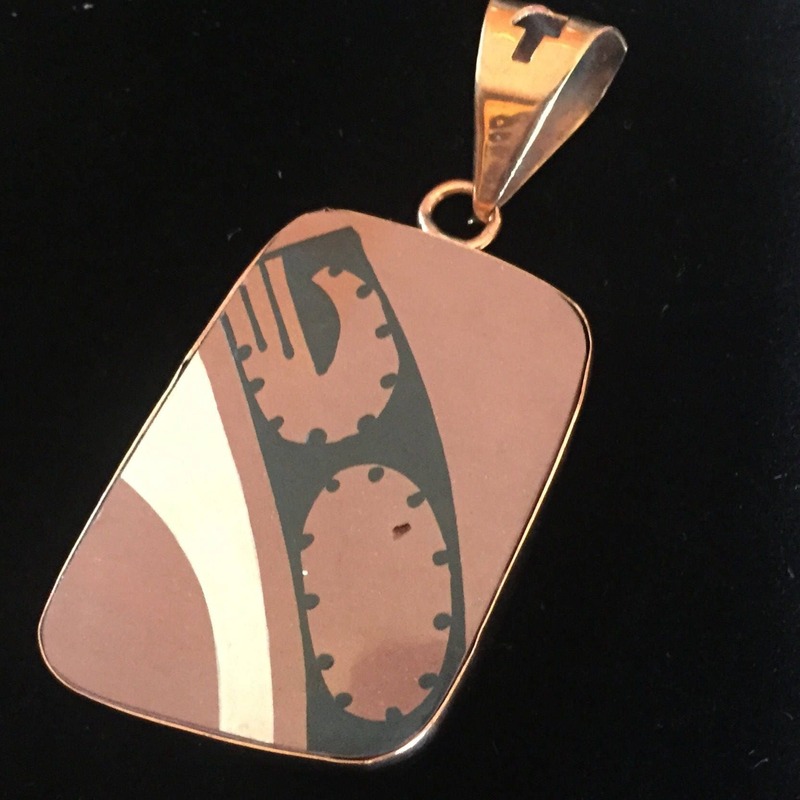 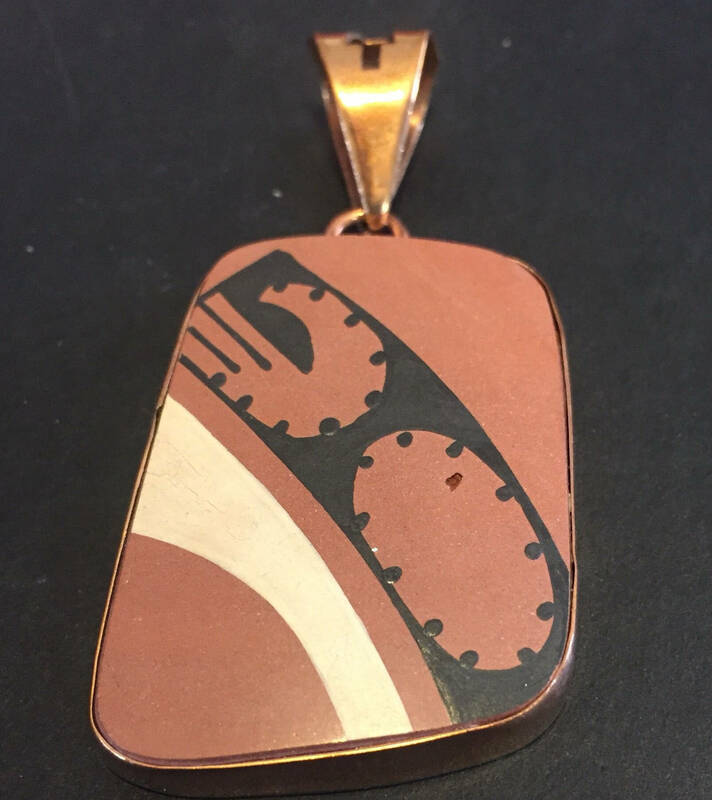 One of a Kind Mata Ortiz Pendant - ceramic pottery shards set in a 100% pure copper handcrafted setting. 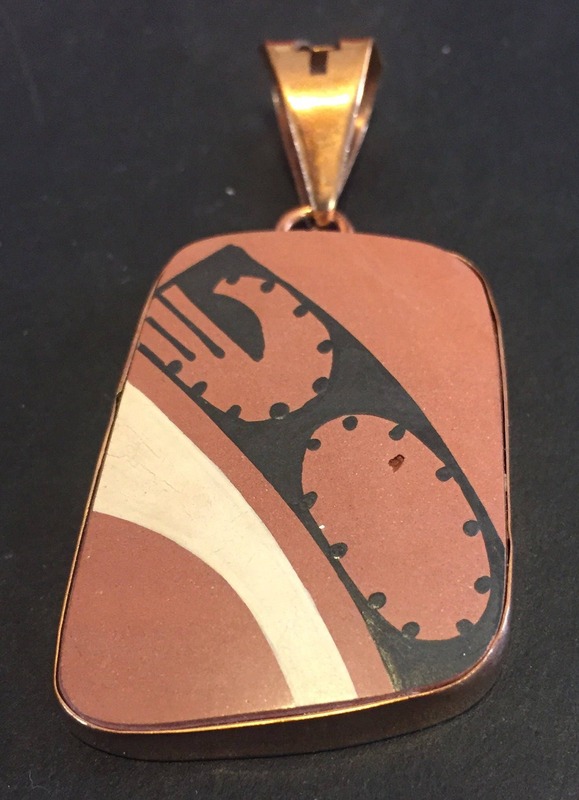 One of a Kind Mata Ortiz Pendant- ceramic pottery shards set in a 100% pure copper handcrafted setting. 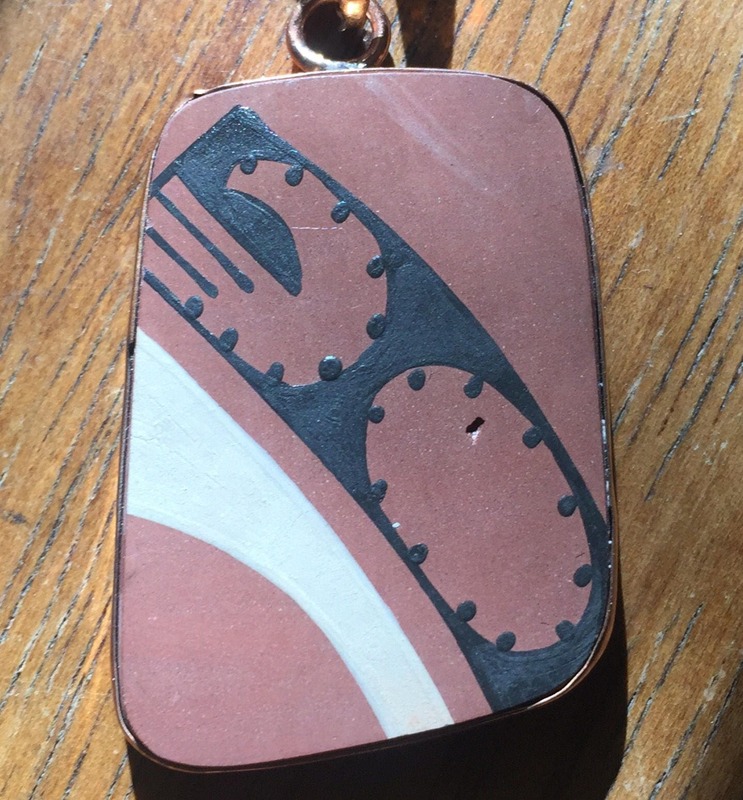 Pottery shards are approx. 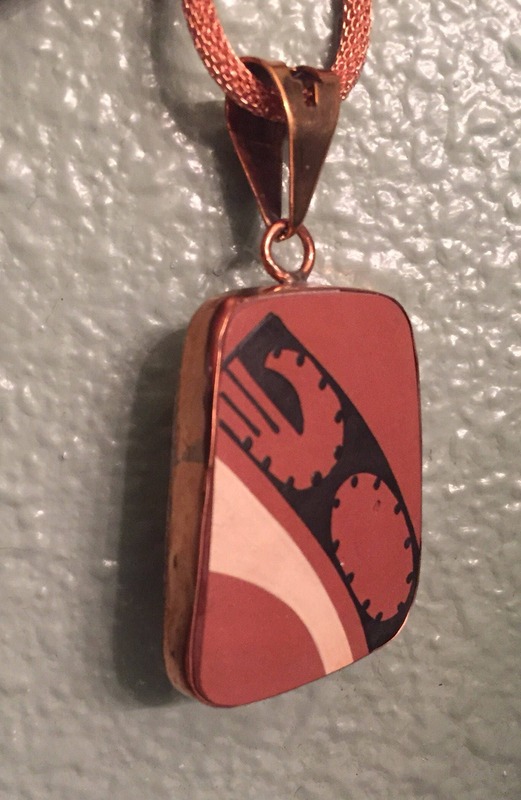 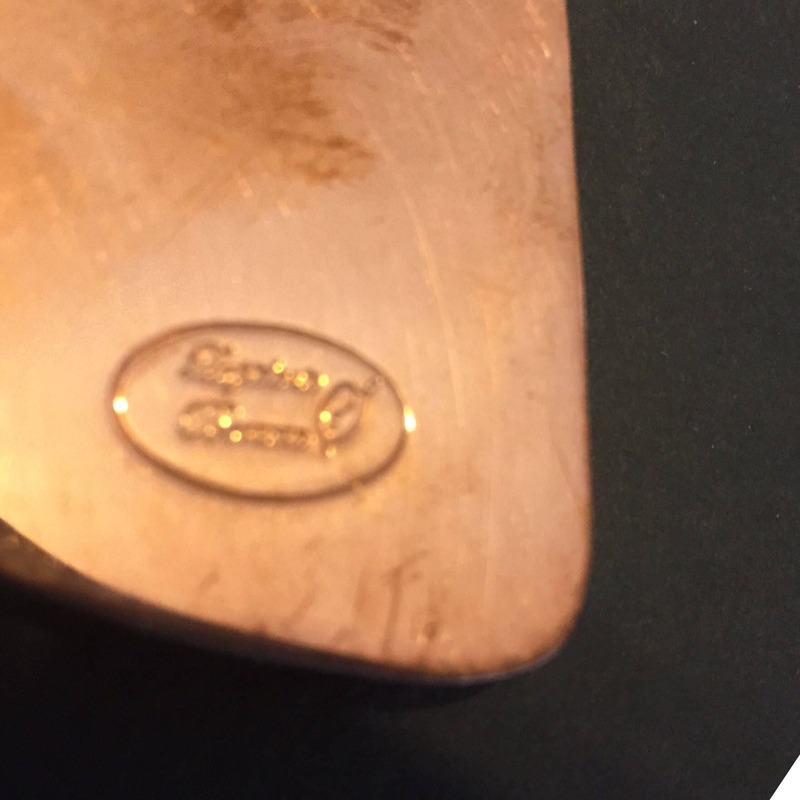 1" w x 1 1/2" h.